If you are anything like me, managing your online toolbox can be a bit mind-boggling. I have apps on my phone, apps on my computer, and online apps. 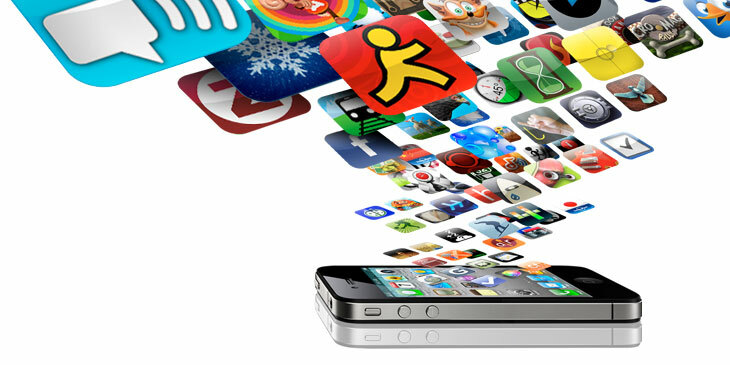 Figuring out how to organize these apps so that they are readily accessible can be a challenge. I am going to share with you some of my management and organization strategies so that you can be more efficient and effective problem-solvers by quickly locating and accessing all of your favorite tools in your toolbox. *Note: All of my organizational strategies can be used with any smartphone, any computer, and any internet browser ... and they are all completely FREE. I use Symbaloo as my start page because it is a simple and visual way to organize my bookmarks. 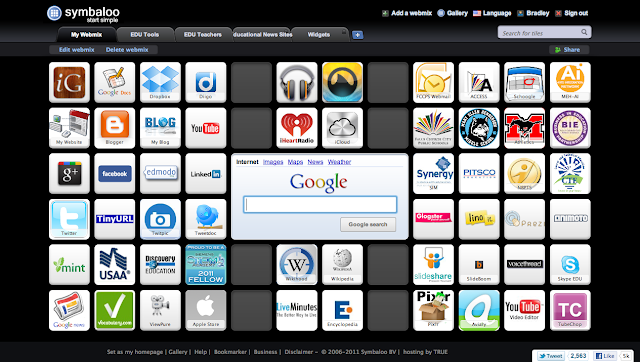 I love Symbaloo because I can organize my bookmarks, however I want AND I can access my bookmarks from any computer. All I have to do is sign in to Symbaloo and BOOM, I have all of my bookmarks in a nice organizational scheme to which I can quickly access. Some tricks I use is to have iGoogle as my first bookmark, Google Docs as my second bookmark, and Diigo as my third bookmark. I will talk about each of these individually, but I use these three the most for online storage. I can also create an unlimited amount of bookmark tabs. The tab that you see in the picture is "My Webmix" which is a tab that contains all of the websites and apps that I most frequently visit. I have other tabs such as "EDU Tools". 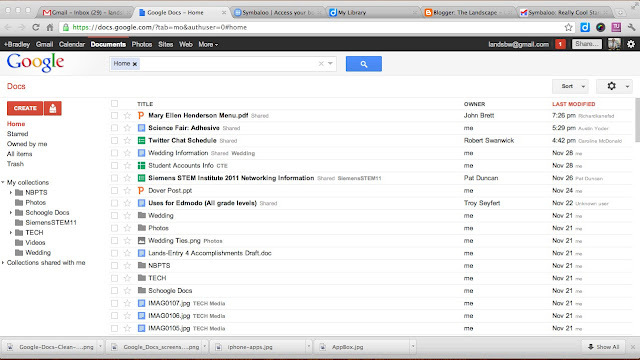 You can create any title for a tab and organize your bookmarks however you like. You can also upload any picture that you would like to use as your bookmark icon which is another great feature. I use Google Docs because it is the easiest way for me to create, upload, download, save, and edit all of my documents in the same place. Regardless of the web browser that I am using, when I sign into my Google Account, my Google Docs are always waiting for me. I can create an infinite amount of Google Docs, completely free. I can even upload iWork or Microsoft Office Docs right into Google Docs, which takes up very little space. However, if I convert my iWork or Microsoft Office docs to Google Docs, then it takes up literally, zero space. Google Docs is one of the only document resources that provides you the opportunity to store an infinite amount of documents free of charge. I also have the Google Docs app on my smartphone. I can view, create, edit, and organize all of my Google Docs right from my phone and I have it as a Bookmark Icon on my Symbaloo page. On a side note, I would recommend consolidating to all Google Apps as much as possible. Having one place for everything makes my toolbox much more efficient. Check out Google Apps for Education to get started. I use Diigo to bookmark websites that I want to archive such as blogs, articles, resources, reviews, apps, tools, etc. I love Diigo because it allows me to organize and archive all of my bookmarked websites. 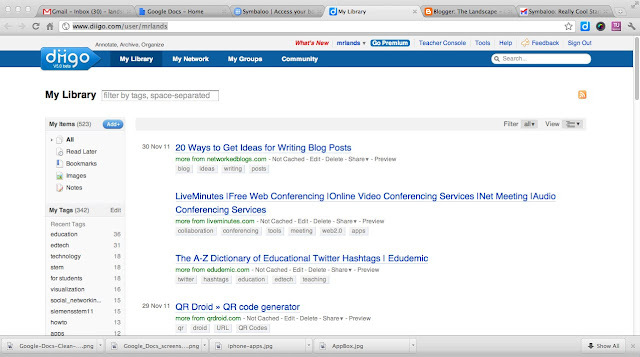 With Diigo, I can create Tags to help me search for specific bookmarked websites. I can also create Groups to organize my bookmarks. For example I have a group titled "Apps for Education". I bookmark any app that I think I can use for educational purposes in this group. Then I can share that folder with my colleagues or my students. I also use the Diigo app on my smartphone, which allows me to take notes, pictures and video on my phone and upload it to my Diigo Library. I can also Bookmark websites from my phone as well. The Diigo Toolbar allows me to quickly and easily bookmark websites from the click of a button. It even gives me suggested tabs and directly imports and archives the website directly into my bookmark library. I can also highlight, add arrows, shapes and additional text on my bookmarked websites, which helps with making notes of key points on the webpage. Are you currently a Delicious user? If you are (like I was) Diigo makes it quick and easy for you to upload your Delicious Library into Diigo. There are so many more added features that you get with Diigo, so switching over was a no-brainer for me. Lastly, I use my Diigo Library as a Bookmark Icon on my Symbaloo page. This allows me to quickly access all of my Diigo Bookmarks with the click of a button.